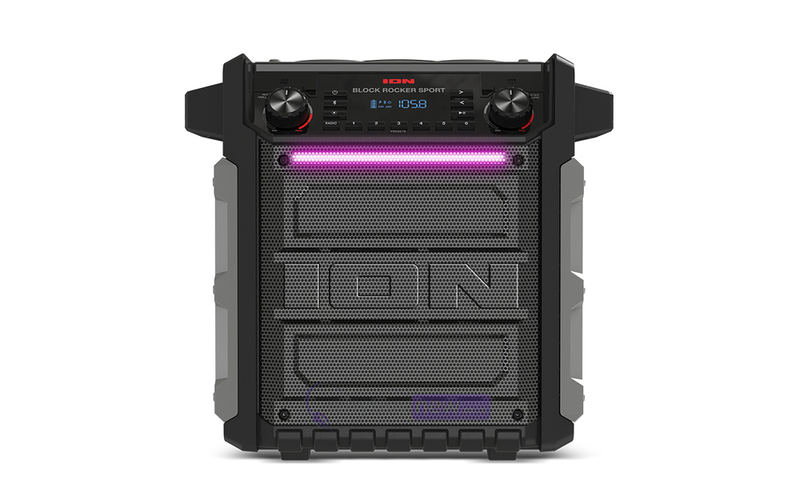 The Ion Block Rocker Sport is a high power, water-resistant, rechargeable speaker that is great for use outdoors for garden parties, BBQs, picnics etc. The speaker streams your favourite music from any Bluetooth device and pumps out great sound through its 8-inch 2-way speaker system powered by a 100-watt dynamic power amplifier. 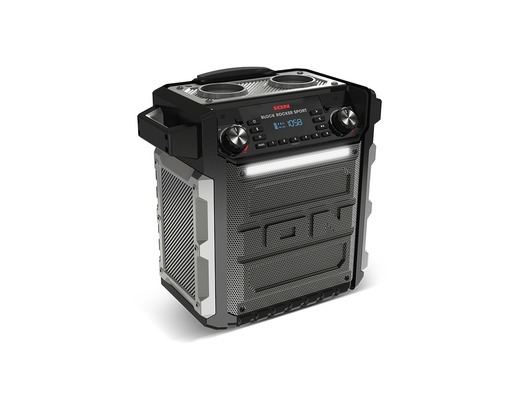 It features a built-in AM/FM radio with 6 presets and a built-in light bar for exciting lighting effects. 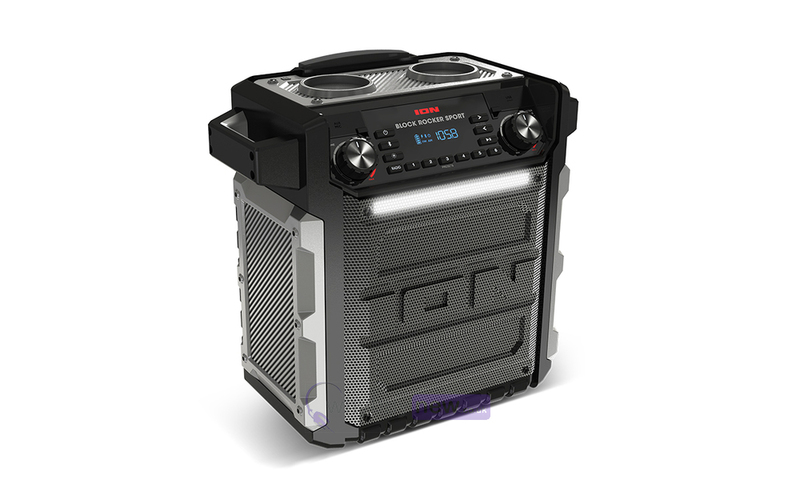 The Block Rocker Sport can also be used as a portable karaoke machine with the included high-quality microphone. Also featuring, a USB charge port to recharge your devices, cup holders on top, a telescoping handle and built-in wheels. With up to 75 hours of battery life, the Block Rocker Sport can keep up with the party all day long. The telescopic handle, wheels and carrying handles mean the Block Rocker Sport can go anywhere with you. No need to stop the fun when the rain starts, the Block Rocker Sport is IPX4 waterproof. Stream your music from any Bluetooth enabled device, plus track controls mean you can skip, play and pause music from the comfort of your seat. The included microphone turns the Block Rocker Sport into an on-the-go Karaoke machine. The light bar and bright LED screen means that the Block Rocker Sport can be used even in low light conditions. 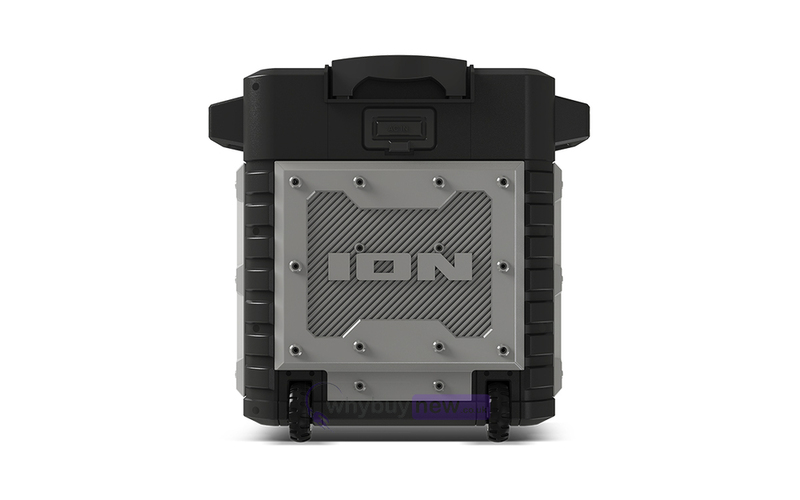 Rugged IPX4 water-resistant enclosure - okay to leave in the rain!